In the Reykjavík headquarters of Iceland Seafood International our employees, along with those of our affiliate companies gathered for internal talks and meetings with producers and suppliers. After an intense morning the participants met for a hearty lunch that left everybody with and open mouth and full stomach. By Reykjavík’s pond the beautiful theatre Iðnó served as the elegant setting for the official programme of the Market Day. The purpose of the meeting was to strengthen relationships while sharing knowledge on the global fishing industry. 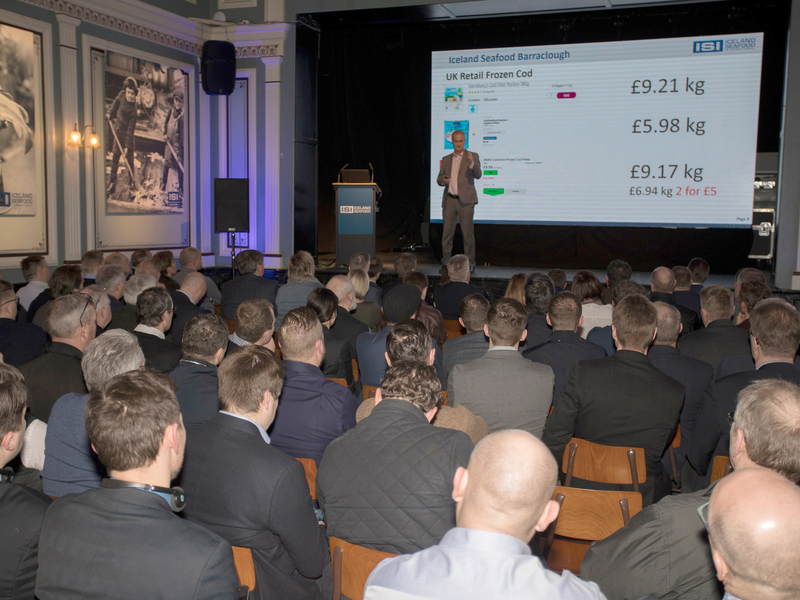 With Sigursveinn Bjarni Jónsson, Sales manager at Iceland Seafood Iceland, leading the discussions, a number of enthusiastic attendants listened to speeches addressing current topics regarding Iceland Seafood, its markets and the seafood industry in general. "Which is better - fresh or frozen?" "Cod from Russia - Development in Production and Sales"
Chairman of the Board of the Icelandic fishery auction markets and Managing Director of Guðmundur Runólfsson hf. To conclude an otherwise exciting program, participants shifted gears over a nice dinner and watched a live broadcast from the match-up between the national teams of Iceland and Sweden in the Men´s Handball European Cup where the Icelandic team won a convincing victory. A nice end to an excellent day.